Guest post by Mark Stephens (Partner Solutions Architect, AWS Partner Program), James Varndell (Product Manager, IPV), and Rebecca Lindley (Product Marketing Associate, IPV). There’s no doubt that modern video content production workflows can be incredibly complicated. From storing a growing library of media, to managing projects with editors in different locations, to the demand for turning content around faster and faster. Producers and editors face numerous challenges in addition to the requirement to produce attention-grabbing content. IPV, an Amazon Web Services (AWS) partner, is an expert at helping content producers overcome these challenges. Our media asset management system, Curator, takes full advantage of AWS compute, storage and content delivery to create better content production workflows. 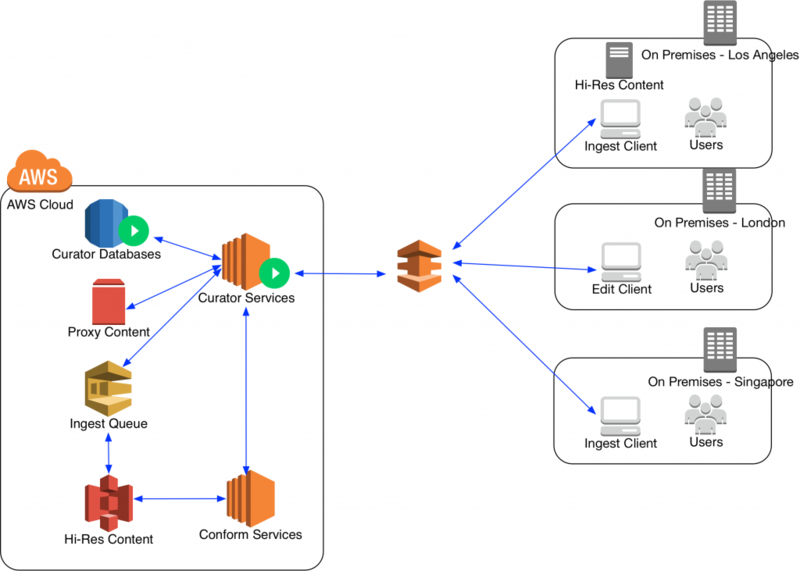 In this post we’ll show how editing in the cloud using Curator and AWS can transform workflows and boost productivity by solving common problems in the content production industry. Today, many content creators’ most pressing requirement is the need to connect teams in different locations. We regularly see organizations with offices in 30 or more locations along with freelancers working from home and content contribution from different continents. All teams have to be able to work with content, regardless of where it originated. Because of its global accessibility and flexibility, the cloud is the obvious solution to this problem. In fact, 75% of IPV’s recent deployments have used cloud technology. If high-resolution files are stored in AWS S3 or EBS storage, it’s easy for producers and editors to access them, wherever they are. However, with 4K resolution files weighing in at 300GB/hour, the time and cost to regularly transfer high-resolution files in and out of the cloud can be off-putting. By working closely with AWS, Curator can provide the solution: instead of transferring high resolution content out of the cloud, editors can stream efficient, frame-accurate, proxy versions of their content. Curator’s proxies are only 2% of the size of the high-resolution files so the data transferred for that 300GB/hour 4K file is reduced to only 6GB/hour. Producers and editors can stream proxies to use throughout their edit and edit assistants can catalogue and log on proxy, regardless of their location or the origin of the hi-res. Once an edit is finished the final sequence is conformed into a new high-resolution file using high-resolution media and conform services running on EC2. Depending on file types either compute optimized C5 instances or G3 GPU instances give the fastest conform performance. In many cases conform speed can be increased by increasing CPU (eg. ProRes, H264) but on occasion adding GPU resource is valuable, that’s particularly the case for RED content. Through the use of proxies and conform services it’s sustainable for an organization to store all of its content using AWS. If an editor is currently playing back 10 hours of hi-res content and retrieving 2 hours of content a day, they could save $1600 a month by streaming 10 hours of proxies and retrieving 2 hours of high resolution content once they’ve determined that they need it. Curator’s services run on m5 instances with c5 instances employed for some of the most demanding transcode workloads. Many transcode and compression workloads are CPU intensive and the high compute performance provided by a c5.4xlarge instance is especially beneficial. Each c5.4xlarge coupled with Curator’s transcode service allows you to create 6-8 live, growing proxy videos concurrently, depending on source format. This is also scalable so for large ingest throughputs (8 channels or more) additional c5 instances can be launched. Curator instances are backed by EBS gp2 storage for local service configuration and for proxy streaming, delivering a H.264 proxy stream to edit clients. In many cases editors favour a HD (1920×1080) proxy at 6Mb/s and for metadata tagging a lightweight 720×480 1.5Mb/s proxy is often suitable. Configuring the appropriate proxy quality is important for balancing data i/o rates with the features editors need. By using Curator’s proxy streaming extension for Adobe Premiere Pro, editors can work on-premise and use all the playback controls supported by Premiere Pro, including seek, jog, shuttle and marking in/out points. Curator’s proxies can be streamed into a timecode synchronized 4-cam multi-cam sequence over the average fixed line internet connection in all US states. Curator’s proxy streaming features are also available when editing live video. While editing, Curator keeps your content protected. Curator controls access permissions which allows you to choose which users and workgroups can access content, metadata and workflows. Further security measures can be implemented in conjunction with AWS by hosting Curator instances inside your VPC or by whitelisting the range of IP address ranges which can make requests to Curator services. 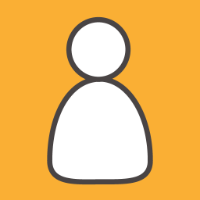 When your hi-res content is stored in S3 Curator accesses it via an IAM user who is given programmatic access privileges, you can manage the permission policies granted to Curator through the IAM user. Furthermore, you can optionally choose for your S3 objects to be encrypted while stored and decrypted during retrieval. Additionally, when Curator is hosted in a VPC you can restrict access to your S3 bucket from the VPC only, thereby denying access to your content from any services running outside of the VPC. The next problem that many content-creating organizations need to solve is how to get the most out of their employees and freelancers, especially in light of increasing demands for content. To create the best content, they need to employ the most skilled people, but this can present a challenge when the right person for the job isn’t in the same location as the content. Even today this problem is still being solved by shipping drives, using AWS Snowball Edge and sharing files through basic file-transfer apps which don’t understand media files. With Curator and AWS, a cloud-hosted deployment can eliminate this issue entirely and has the added advantage of making 24-hour workflows possible. Editors can access content wherever they are in the world, which means they can be employed because of their skills, rather than their location. And, if content is shot in LA in the morning, it can be edited in London, then reviewed by a producer in Singapore, all in the space of a day, and without any costly and time-consuming high-resolution file transfers. Using AWS Direct Connect further enhances the experience, giving you the consistent network performance that is essential for smooth playback and editing. Direct Connect also reduces your bandwidth costs, and if you’re running a VPC environment it offers editors private connectivity to your Curator instances. WHAT ABOUT THE HI-RES FILES? So far, we’ve majored on the opportunities from a proxy workflow, however, we can’t forget about the need to complete some aspects of an edit against the original high-resolution files. This is typically required for color correction or advanced graphics workflows. The most popular way to meet this need is for Curator to keep the files used in the high-resolution edit on premises and send the proxies to be stored in an S3 bucket or EBS for edit-class streaming and collaboration. Once the edit is published the high-resolution files are sent to S3 or to Amazon Glacier using object lifecycle policies for archiving. The project file meanwhile is automatically stored by Curator in its AWS RDS database and can be retrieved at any time. If the project needs to be revisited or reused then Curator automatically switches to proxies and makes it easy to restore the high-resolution files, at which point Curator switches the project back to high-resolution. This approach is a hybrid-cloud workflow, which we’ll discussing further in the next few weeks in our follow-up article. Hi-res files arrive on premises. Through Curator, a proxy is generated and stored on EBS storage, and a Curator asset is created which records the location of the proxy, hi-res and technical metadata for the hi-res. If you’re already receiving hi-res files in Amazon S3, either via direct upload or a file acceleration product, Curator’s workflow engine is notified through an AWS SQS Queue. The hi-res files are loaded into EBS gp2 storage which Curator uses as a cache to process the files using an EC2 M5 instance to extract metadata and create a proxy. The EBS gp2 volume type balances performance with cost and is suitable for modern proxy formats eg. HLS with small fragment sizes (6 seconds or less). Editors can access Curator through Adobe Premiere Pro CC and Adobe After Effects CC. Users can access assets stored in AWS through the Curator for Adobe panel and import a streaming H.264 proxy straight into Premiere Pro or After Effects. This means editors don’t need to wait for proxy files to download or synchronize to their device, they can start editing straight away. Edits can be made on the proxy, or if the hi-res is required and available on local on premises storage, it can be swapped out frame accurately. If the hi-res is not available to the editor it is restored from S3 to on premises storage automatically. From there editors can swap to the hi-res. Figure 1: Access content from anywhere in the world and work with it in Adobe Premiere Pro or After Effects CC. The final sequence or composition is conformed through Adobe Media Encoder or After Effects which is located in the cloud. Conform jobs are managed through Curator’s Device Director, this provides job prioritization based on project deadline and type. Curator Device Director also sends the project file to the appropriate region depending on content location which reduces the need for content replication. Editors can choose their desired output format and destination within the Curator for Adobe panel. Figure 2: Select a destination for your project and export it without having access to the hi-res content. The final proxy or the hi-res content can be sent to any predefined location in the world at the click of a button. Importantly, the content and project files are linked which means you can make informed asset management and archive decisions. By opting for a cloud-based deployment, Curator and AWS can enhance your workflow, allowing global collaboration, remote editing and international talent access, whilst keeping storage and file transfer costs manageable. Find out more about Curator at ipv.com.